As a DFW homeowner you understand that each feature of your home adds to the overall value of your property. Each feature comes with many different options to choose, including your garage door. A DFW home’s overhead garage door contributes to a large portion of its curb appeal, which is why the choice of garage door for a home is very important. Overhead Garage Door, LLC carries a large selection of overhead garage doors for our residential customers in the DFW area. The garage door products we carry are available from the best manufacturers on the market that offer many different options. Our friendly technicians are here to help you choose the best door for your home; they will help you decide on the type and style that best suits your home and will also go through the many different optional features including color, glass, insulation and more. From standard panel doors to custom wood garage doors, Overhead Garage Door, LLC is here to help you find the perfect fitting garage door for your home. For a buyer on a budget, we are proud to carry various affordable doors that make your garage door replacement possible; raising your personal happiness and property value! If you have a more flexible budget and looking for a new door that reflects you and your home’s personal sense of style we have many custom garage door options as well; from material to stain, color and paneling, we will help you narrow down your search to find the exact fit for your residence. Overhead Garage Door, LLC stocks a vast selection of garage doors and their parts from a variety of manufacturers, so we can meet your garage door needs. Steel Raised Panel Doors offer the classic door options that can fit nearly any home. 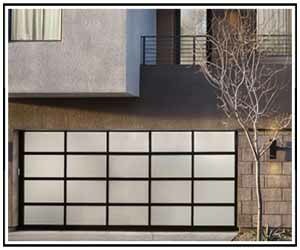 We provide steel panel residential garage doors from Clopay and C.H.I. Overhead Doors; both manufacturers offer insulation, window, glass and color options for you to customize to your specific preferences. Carriage House Doors from Clopay and C.H.I. Overhead Doors provide homeowners with a unique and truly custom design option for their property. Residential garage door customers can choose from panel, finish, stain, glass and hardware options to create a one of a kind door for their home. Cedar Doors for residential properties are a popular choice; not only are they naturally elegant, but they maintain quality by resisting moisture preventing mold and decay. The C.H.I. and Clopay cedar doors we offer grant our residential customers natural garage door options that will last for years to come. From the custom, handmade cedar doors to carriage house doors and steel raised panel doors, we have the overhead garage door options to fit any homeowner who is searching for a high quality unique door they can call their own. Each door is specially handcrafted to each of our customer’s specifications, with a multitude of patterns, colors, glass, and more available options. Let the experts at Overhead Garage Door create a fully customized door that will put your house a step above every other home in your neighborhood. Additionally, we offer installation service, replacement, and repair on all products, including: Overhead doors, garage doors, openers, gates, springs, panels and more! We have an endless supply of products from various manufacturers and have a team of licensed professionals, ensuring there is no job we can’t handle. At Overhead Garage Door in DFW, LLC we’ve got you covered – contact us today!